SOS 4 Kids was created to provide innovative and quality safety education that children and youth find engaging. Our goal is to empower youth with confidence and to equip them with life skills to prepare them to look after themselves or other children, in a safe and responsible manner. Sue Perry and Velma Ganassini co-founded SOS 4 Kids further to requests from clients and participants in their first aid and safety courses to provide quality safety programs to their children. As Parents, first aid and aquatics instructors, both women feel it is their mission to educate families about injury prevention, best practices for safety and first aid. To meet the needs of children who were starting to become independent, SOS 4 Kids developed the Home Alone Safety for Kids program. This has become a very popular program for municipalities and YMCAs to offer through their community programs. The program started in Oakville and has expanded to other communities in Ontario, other provinces and even into the States thanks to a network of dedicated Program Delivery Partners. In 2018, Sue and Velma launched the popular program in an online format in the hope of making these important life skills accessible to all children. The online home alone course can be found at www.homealonecourse.com. SOS continues to offer first aid training to the workplace and general public through its sister company SOS First Aid and Safety Training. Velma Ganassini has been teaching first aid, swimming and safety to adults and children since 2004. She is a First Aid Instructor Trainer with the Canadian Red Cross and founder of the multi award winning SOS First Aid and Safety Training. Velma is also a proud volunteer of the Canadian Red Cross and Oakville’s scouting organization. Sue Perry is a first aid instructor and former lifeguard & swim instructor. She brings over 20 years of facilitation and program development experience along with many years volunteering as a Sunday school teacher, soccer coach and hockey trainer. Nadiya China, a lifeguard, first aid and swim instructor, joined the team in 2013 and is passionate about sharing the Home Alone Safety for Kids program with as many children as possible. Ally Turner-Sommer is a first aid and children’s safety instructor who loves working with children. A veteran foster parent with a background in social work, Ally is dedicated to social justice initiatives that create an even playing field for all members of the community. Allison Steele has been working in the field of first aid for many years. She is currently a children’s safety and first aid instructor though formerly she was a Red Cross First Aid Coordinator for the Halton Branches. Allison regularly entertains students with her personal real life first aid experiences gathered while on her world travels via tall ships and motorcycles. Jill Bruer has been with SOS since 2011 as a first aid and children’s safety instructor. She is currently home schooling her youngest son through high school having previously graduated three others on to post-secondary education. True to her Irish heritage, she loves to share stories and humor while coaching children in home safety and basic first aid. Julie Chiesa, with more than 25 years of experience teaching first aid, swimming and scuba diving, brings a wealth of knowledge and hands-on experience to SOS 4 Kids. 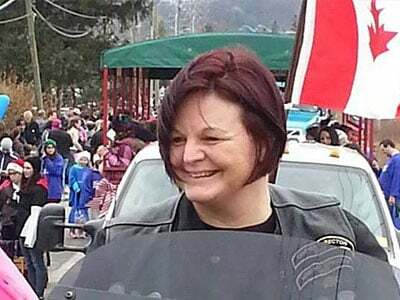 She was a member of the Canadian Coast Guard Auxiliary, an Emergency Medical Care Assistant and is a passionate volunteer of more than 25 years with the Canadian Red Cross. Sue Mitchell spends her free time volunteering as a postpartum doula, helping with the Special Olympics and being a mom to two adolescent boys. She brings many years of parenting experience, compassion and understanding to the classroom when she teaches the Home Alone Safety for Kids program.